Relax on private beach of a Luxurious Miami Oceanfront Boutique Condo. Located 2 blocks from the famous Bal Harbour Shops, 10 minutes from world famous South Beach and 20 minutes from Miami International Airport. Walking distance to restaurants, supermarket & town. Newly renovated Condo sleeps 4 adults comfortably on 2 Queen Size beds. Master bedroom contains Queen Size bed, walk-in closet, 32' LED TV w/cable & DVD, and in-suite marble bathroom. 2nd bedroom also contains Queen Size bed, 42" HD Smart TV. 2nd bathroom with marble shower. Modern European design kitchen includes dishwasher, microwave, oven, refrigerator, coffeemaker & granite countertops. Main Living area contains brand new sofa, 42' LED TV w/cable & DVD, iPOD dock, Wi-Fi, dining table, & new Bamboo flooring. 24 hour front desk, free valet parking and use of small gym on site over looking pool and beach. A separate bike and walking path that extends from Bal Harbour to South Beach is accessible directly behind building along beach. The beach is spectacular, the view is amazing and the ocean water is the warmest and clearest in Florida! 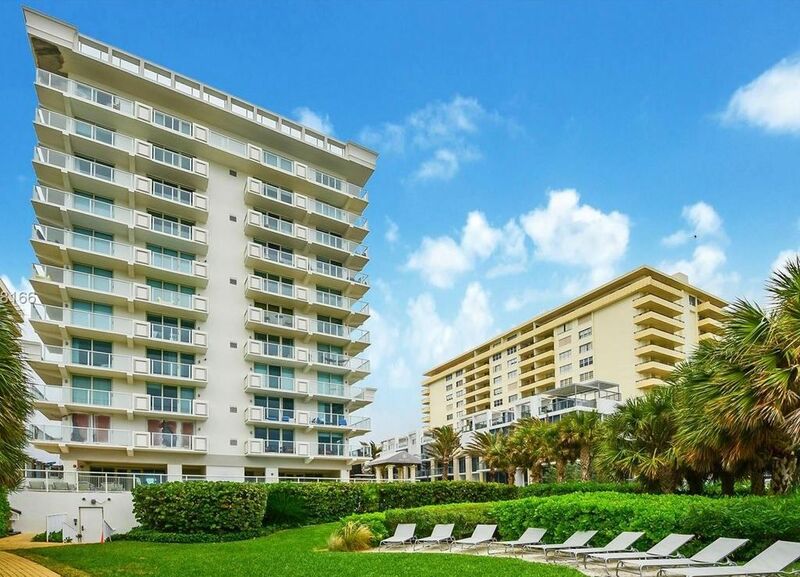 This is a great location, close to the famous Bal Harbour shops, quaint restaurants and close to South Beach. We love this area because it is like a village but yet close to the city and South Beach without all the traffic and crowds! My husband and I, and our 2 kids came from Argentina & spent one week at this condo and we loved it. The location is fabulous and the condo was beautiful! Quiet & relaxing. The beach was never packed. It was great being able to do laundry. We will definitely stay here again when we visit Miami again. Thanks Tony & Paola~!